Description Little Topy is an inventor, he likes fast riding! But his world has many obstacles on the road that is why Topy equipped his vehicle with the gun, which helps him to solve road riddles. 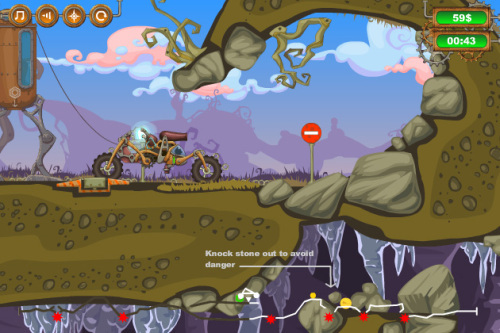 On Topy’s way there are many traps and surprises and additional tasks, which can bring him money to upgrade his vehicle. Nice #driving game! I like the graphics!! !